It’s my favorite day of the month – Leftovers Club Day! My partner this month was Carrie from Frugal Foodie Mama. I found out quickly that Carrie and I have a lot in common. For example, We both look for off-brand items that live up to their brand name counterparts at Aldi and we both strongly dislike black licorice. 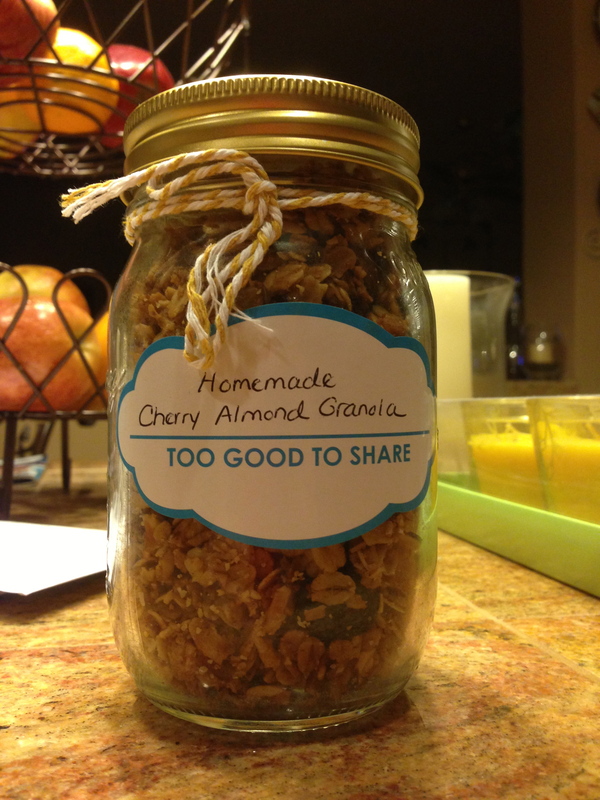 Carrie spent all of last month working hard to get the first ever Baking For Kate bake sale up and running, so I got to try her Homemade Cherry Almond Granola weeks ago. I can not stress how much I loved it. It might be the best thing I have ever eaten. She sent me an entire mason jar of it and I ate it all in two sittings. Too good to share? Absolutely. That’s why I hid it from my family so that I wouldn’t have to. Over the last few weeks I have felt as if I have lost my kitchen mojo. Every time I come up with an idea and go to bring it to life, it doesn’t turn out the way I hoped. I have been going through my lengthy list of ideas and killing them one by one. That is why I haven’t posted anything in a few weeks. I love sharing things with you, but I don’t want to showcase my crappy ideas. I was determined to make this corn bread work though. The recipe means even more to me because the jalapenos came directly from my garden in the backyard. If you follow me on Instagram, you might have seen how ridiculously proud I am of my green thumb this year — and that I came face to face with an agreesive anole on my mammoth sunflowers last week. Speaking of coming face to face with danger, I wanted to share this picture with you just for fun. This is my dog Chase. He lays at my feet while I use the KitchenAid mixer every day, but whenever anything is ready I have to put him outside. He’s not a big dog, but somehow he has discovered how to stretch himself out enough to consume everything up on the high countertops. It was hot today though, so I left him in while I was taking pictures. I was up on a chair with my camera, and when I went to zoom out this is what I saw. 2. Generously spray a 8×8 baking dish with canola oil and set aside. 3. Mix together the flour, cornmeal, baking powder, baking soda, and salt. 4. Add in the milk, butter, and sour cream until creamy. 5. 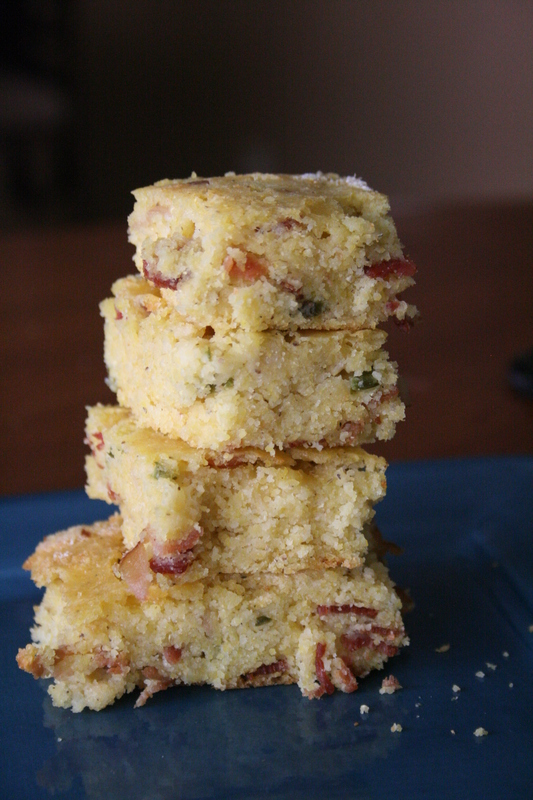 Mix in your cheese, bacon, and the jalapenos until everything is well combined. Pour the mixture evenly into the baking dish. 6. Bake for 35 minutes. Let cool for 30 minutes before cutting. Want more bacon? 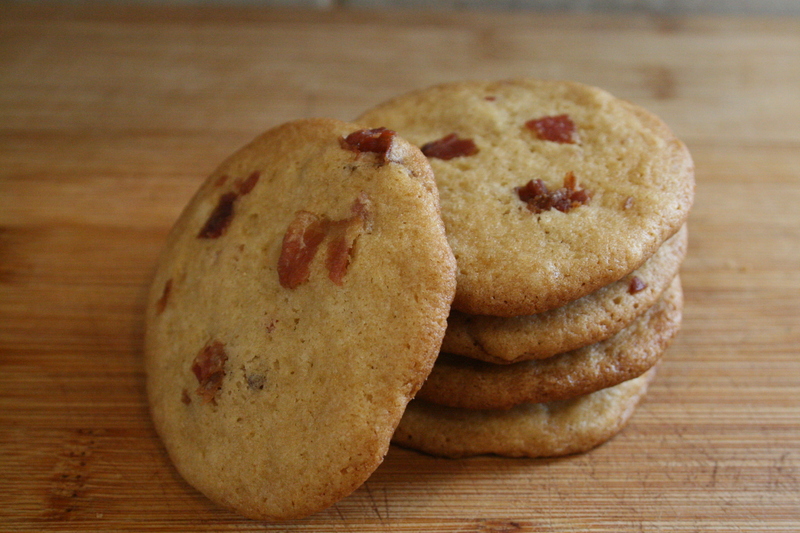 Check out last month’s Pancake and Bacon Cookies! Interested in what all of my friends made this month? You can check out all of their delicious concoctions by clicking the link below! You cornbread looks delicious!! I love both bacon (oh yeah) and jalapenos!! This looks absolutely delectable. 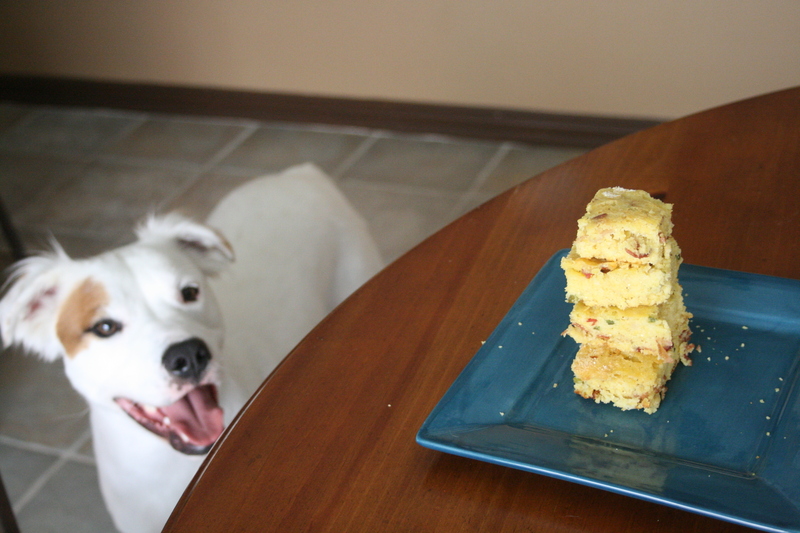 I also admire Chase’s self-control, it takes a lot of discipline to simply stare at something that tasty! I have a pug and he’s barely a foot tall and can manage to get himself where he doesn’t belong if there is food on the table. I feel your pain but these will totally make up for it! 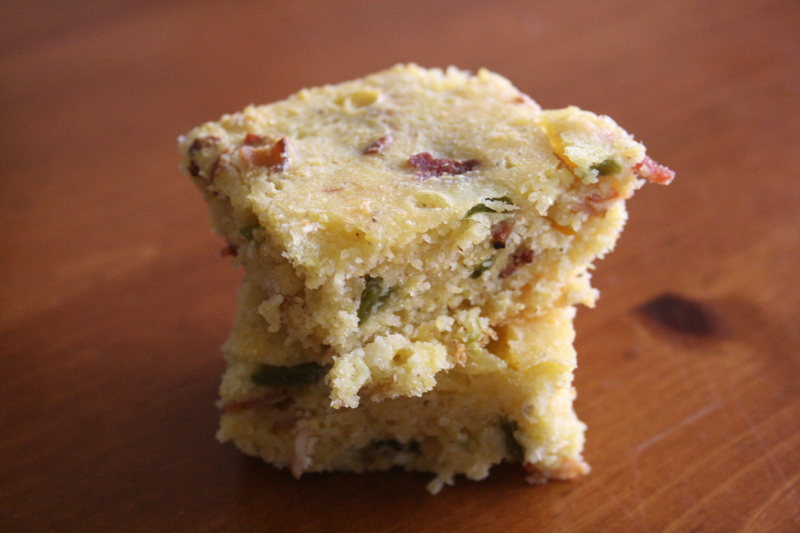 THIS is my kinda cornbread. There’s spice and bacon!